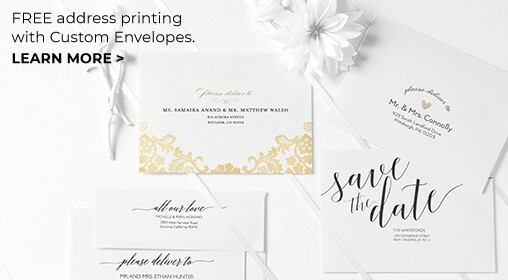 The elegant Wedding Paper Divas stationery you know and love is now available as an exclusive collection at The Wedding Shop by Shutterfly. With designs that reflect your personality as a couple, it’s easy to find cards and invitations that bring your wedding inspiration to life. Find the wedding suite that captures your bridal style with our luxe Wedding Paper Divas stationery line. Wow your friends and family with save-the-dates that announce your wedding day in a style all your own. Choose from classic flat cards or photo save-the-dates to share the news on premium cardstock that feels as beautiful as it looks. For a unique spin on this traditional stationery, opt for save-the-date magnets that double as fun, stylish keepsakes for your invitees. No matter how you remind them to mark their calendars, your guests certainly won’t forget about the big day with save-the-dates as gorgeous as these. 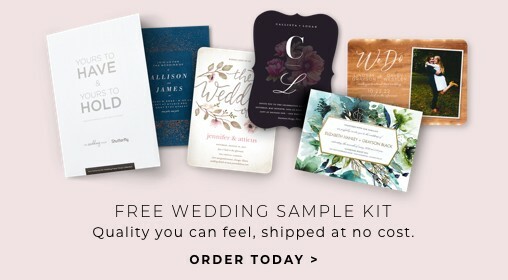 Set the stage for an elegant wedding from the start by sending out chic invitations for your engagement party, bridal shower and rehearsal dinner. Each of these important milestones on your journey to the big day helps you celebrate your engagement and prepare for your wedding. The Wedding Shop’s exclusive Wedding Paper Divas collection has a variety of chic ways to gather your loved ones together for every celebration along the way. For your wedding invitations, go beyond basic cards and create a stunning, custom suite of stationery that’s as unique as your wedding. Choose from stunning invitation designs in classic, modern, rustic and vintage styles and more to suit the theme and look of your big day. 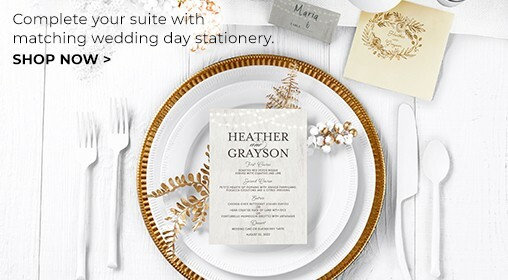 Once you find your favorite invitation, personalize it along with the coordinating enclosure card, reception card, and response card to create your one-of-a-kind wedding stationery suite. Your wedding suite can include more than just your invitation set. Enhance your stationery with personalization options, like address labels that add flair to your wedding envelopes. For a coordinating theme that ties into your ceremony and reception décor, choose from other elegant Wedding Paper Divas stationery to use on your big day. Wedding programs help your guests follow along with the ceremony, and they make stylish keepsakes when the day is done. Customize matching wedding menus and place cards to dress up your table settings. Top it all off with stylish accessories, including gift tags and stickers for enhancing your wedding favors. After the big day, make sure to express your gratitude to the guests who made your day special by sending out custom wedding thank you cards from The Wedding Shop. Thoughtfully written thank you cards are your opportunity to show your genuine appreciation for the support, company, love, and gifts your loved ones have provided since your engagement. With a curated collection that’s thoughtfully designed for that one-of-a-kind look, you’re sure to find a Wedding Paper Divas suite that beautifully reflects your style.